Here are some of the latest products that I wanted to share with you guys! Some of them were sent for me to try, while others I discovered on my own. 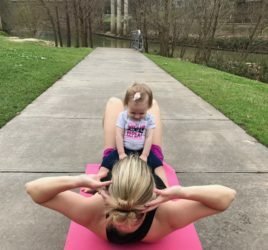 Most of these are health and fitness related, except for the baby gear – so just skip over that section if it doesn’t apply to you. 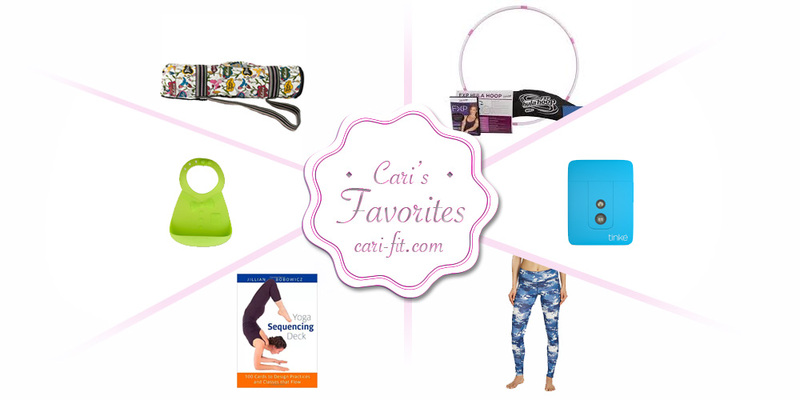 Gaiam has a new line of workout gear that is really cute and functional! I have the “curve” pants and love them! I’ve also been wearing Victoria’s Secret “knockout” crop pants because they fit really well and they always have really cool colors and prints! I love the pretty print on this Sakroots Yoga Bag! Sakroots is part of the brand “The Sak” and all of their purses and bags are made really well. Sakroots features some very cool original artwork and the brand also gives back to local artists and charities. 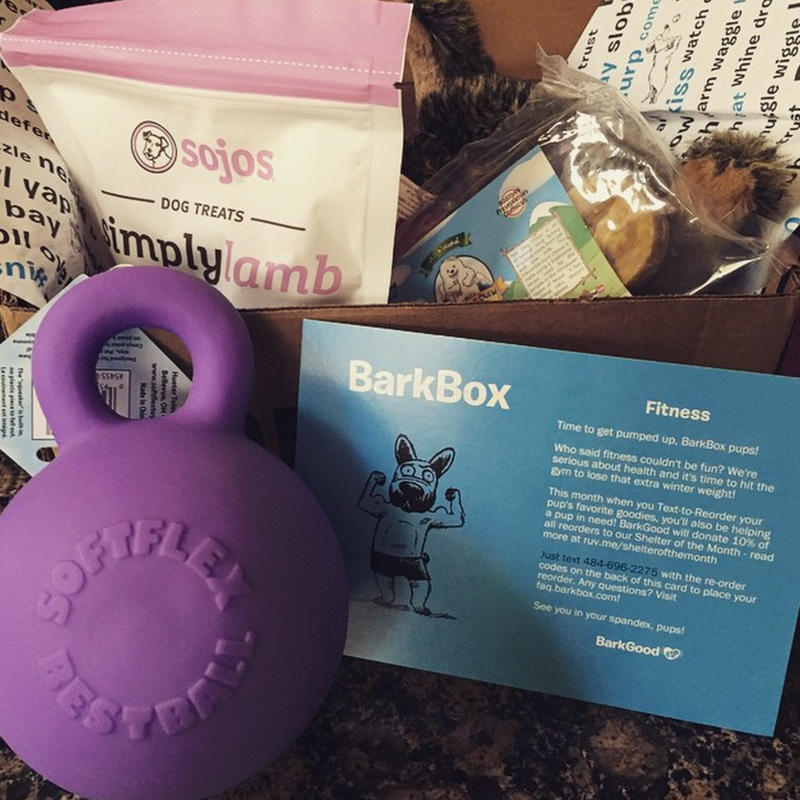 Tinke – I got a chance to try this new fitness monitor and I’ve been really impressed. It works differently than most because you plug it into your phone (vs wear it) and it’s more about calculating your pulse and respiratory rate (better indications of your fitness vs. steps taken or calories burned). It’s the only tracker that measures your heart rate, respiratory rate, blood oxygen saturation and heart rate variability to determine your fitness and stress levels. I also like that it’s very small and easy to take with you. FXP Hula Hoop – The hula hoop is making a comeback! 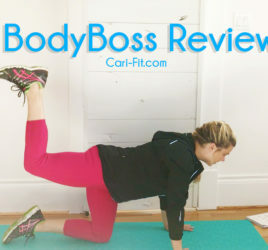 I was a little skeptical to try this workout, but once I did I really liked it! It actually gets your heart rate up pretty fast and burns a lot of calories. Surprisingly you don’t have to be super coordinated to use it either! The best part is that it’s just fun and having fun is a must if you are going to stick with a workout! If you are looking to conquer pull-ups once and for all, check out this book: Doorframe Pull-Up Bar Workouts. It has great tips and advice on how to do your first pull-up. I also really love this Yoga Sequencing Deck – which is great for when you travel (or at home) and aren’t sure how to put together a good yoga sequence. I’ve been using this bib by “Make My Day” since my baby started solids and it’s still my favorite. It’s not as hard and bulky as other silicon bibs and having a pouch that catches food is a must! It also folds up easily for travel. We really like these cute “touch and fee” flashcards. They have all kinds of sets ranging from animals, machines and foods.